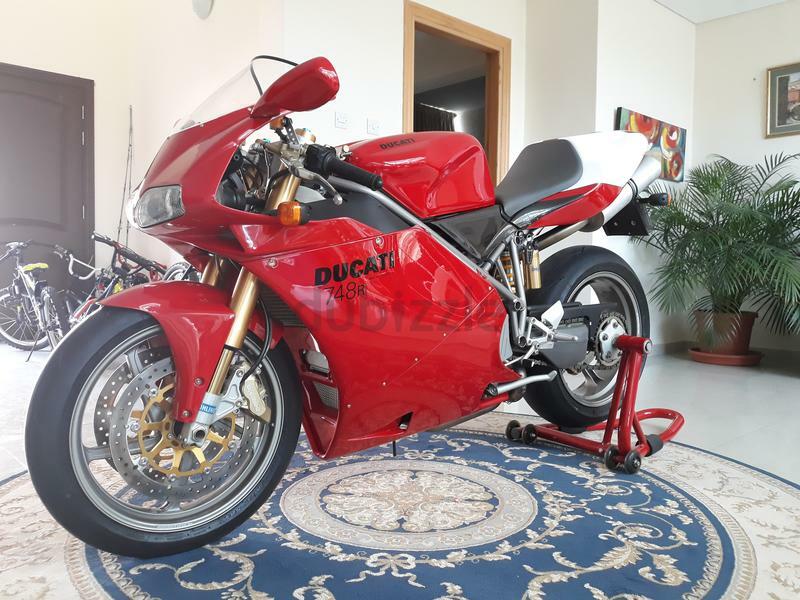 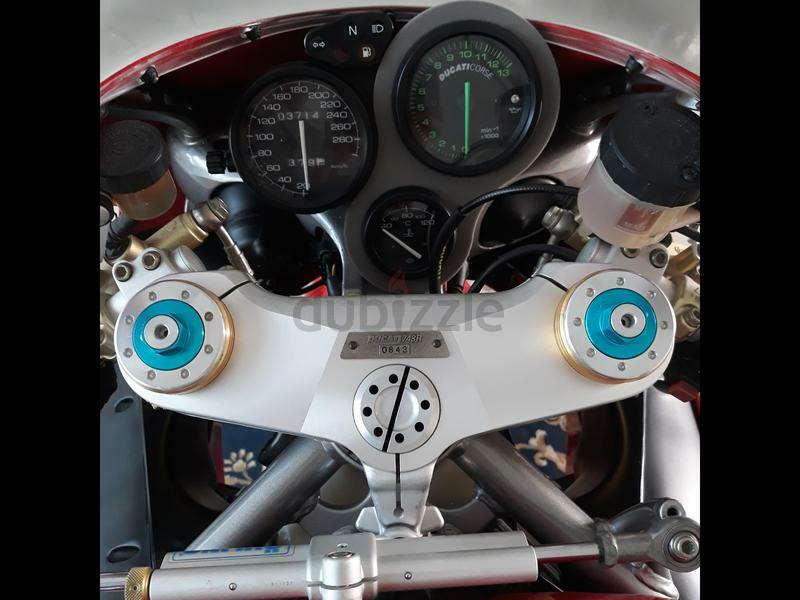 2002 Ducati 748R in immaculate faultless original condition. 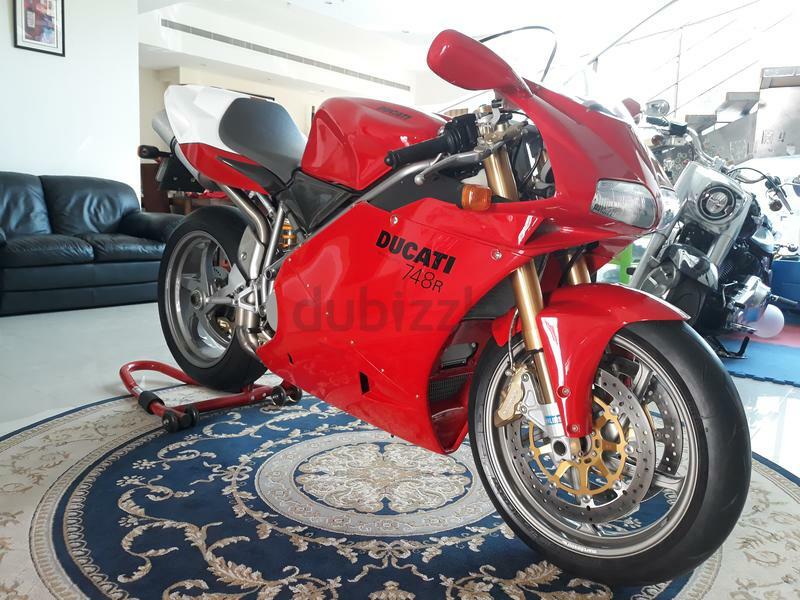 This iconic bike has always been kept in an air conditioned environment and is the last model and most desirable version of the limited edition 748R series built and delivered in 2002. 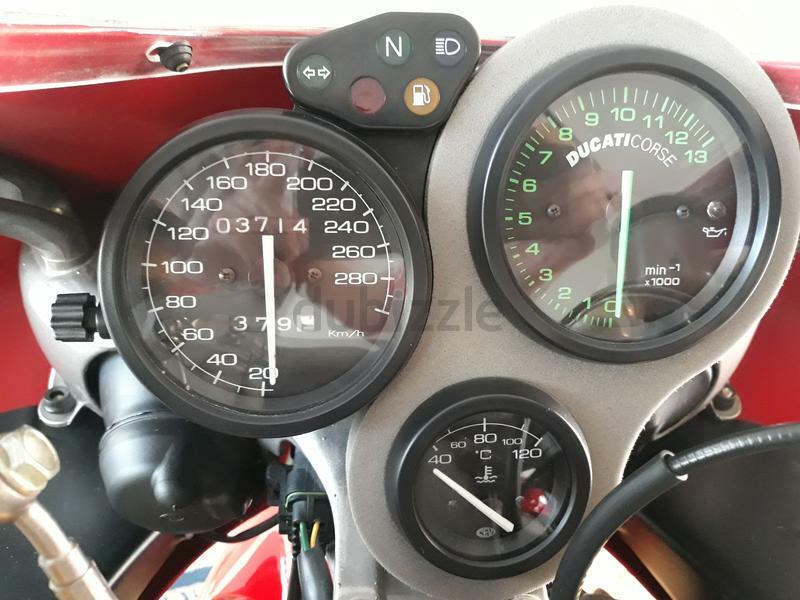 This bike has very low 3,714 Km total milage and is bike number 0843, it would suit the most fastidious enthusiast or collector. 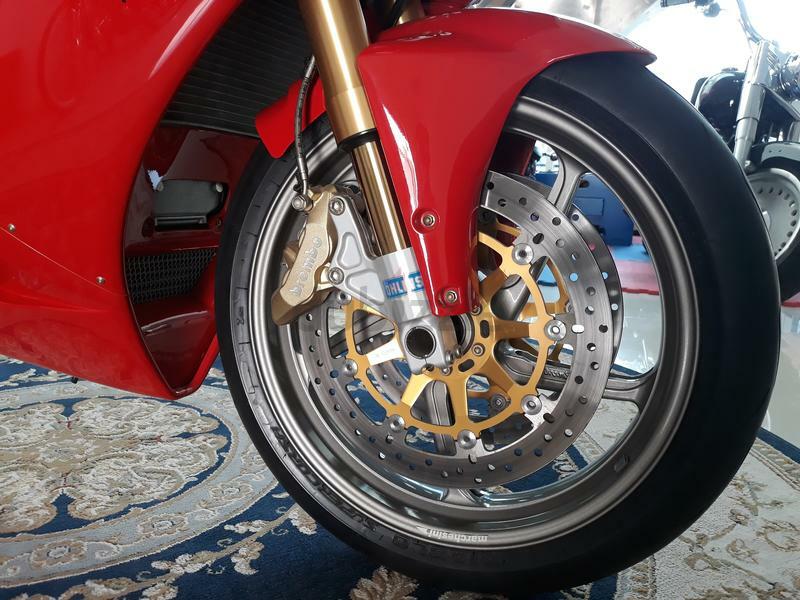 Some other items will be included in the asking price such as paddock stand, factory cover, owners manual and service manual. 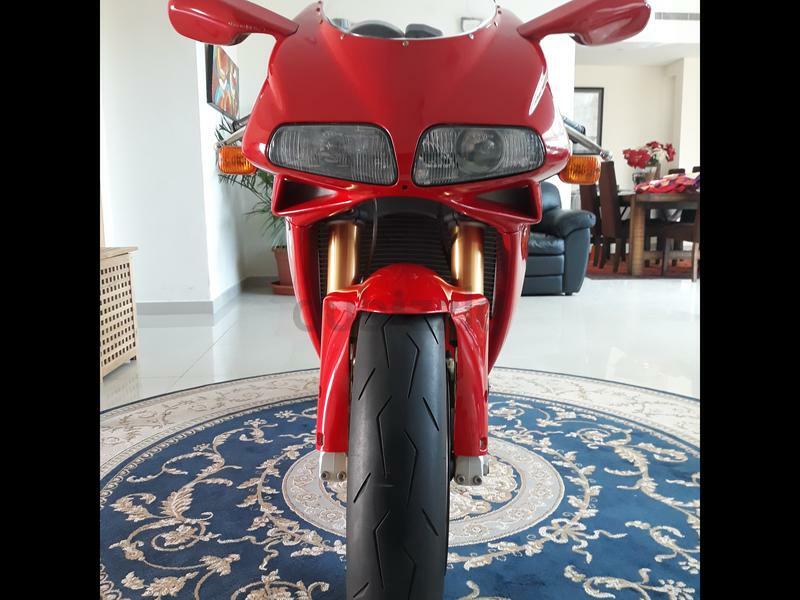 Bike is in perfect running condition with no known defects. 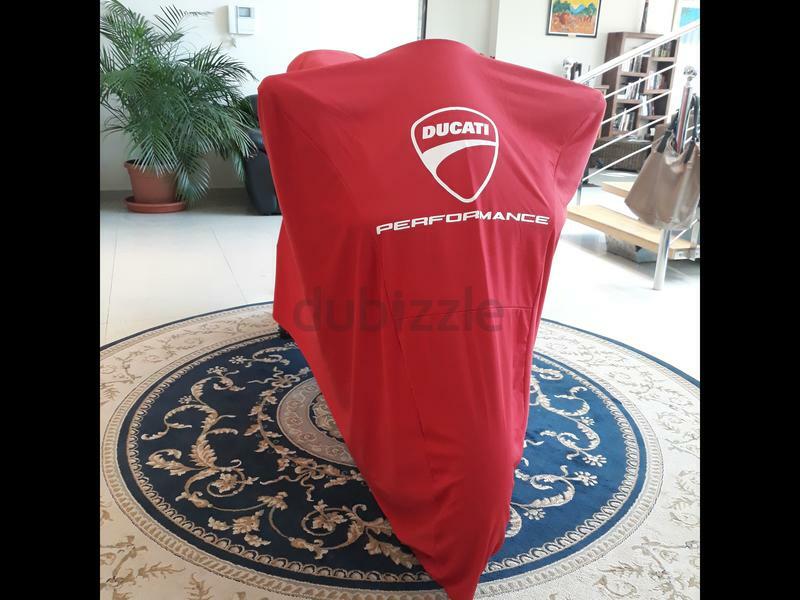 Serious buyers only please can contact me in the first instance via WhatsApp. 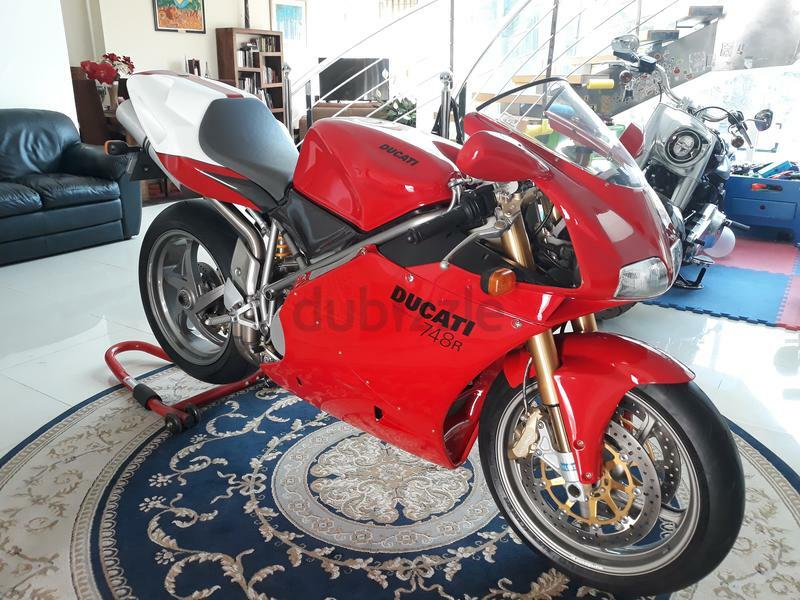 No offers will be excepted until you view the bike in Abu Dhabi.